Medical and recreational marijuana regulation is undergoing a sea change right now, the reworking of a drug regulation regime that goes back at least 75 years. Debates about the drug are not new, however; the New York Academy of Medicine found itself in the middle of the political discussion back in the 1930s and 40s and is now taking a look at this history. For a hundred years, from the published attestation of the medical use of Cannabis by William Brooke O’Shaughnessy in 1839, medical marijuana use increased and came more and more under medical regulation. Discussions around regulation usually sounded two concerns: first, that the material be unadulterated and eventually physician-prescribed, and second, that potential benefits could be seen to outweigh harms. For from the beginning, many demonized marijuana use; early on, some went so far as to lump it in with opiates and their abuse. By 1930, the United States established the Federal Bureau of Narcotics, with increased central control as the goal and Harry J. Anslinger as the willing head. In 1937, over the objections of the American Medical Association, he had pushed through the Marihuana Tax Act. An indirect means of control—as the state governments had most authority to control medicine and drugs directly—it was in fact very effective in criminalizing marijuana. Imposing annual licensing fees on producers and prescribers, it also called for a transfer fee of $1.00 per ounce to registered users, such as physicians, but $100.00 per ounce to unregistered ones—the vast majority. This tax structure was laid down in an era when average American incomes were about $2,000 a year. And indeed, $2,000 was the amount of the fine that could be imposed, along with up to five years in jail, with seizure of the drug as well. The first dealer convicted under the act received a sentence of four years in Leavenworth Penitentiary! 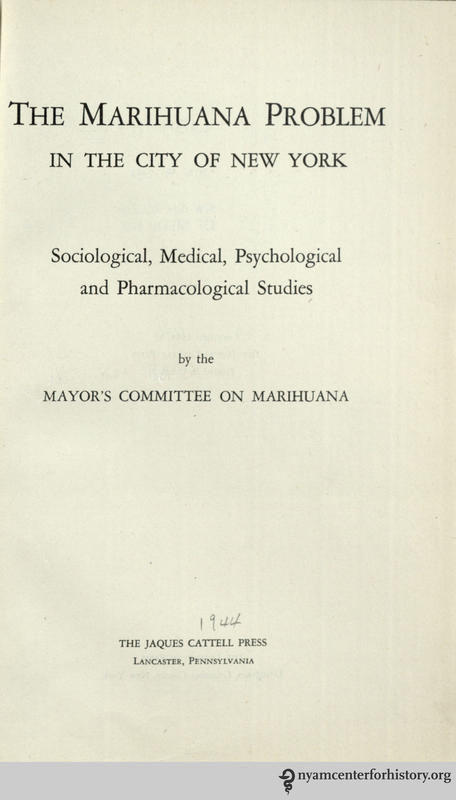 The title page of The Marihuana Problem in the City of New York. New York Mayor Fiorello LaGuardia was skeptical of the reasons behind this stringent control. In 1938, he commissioned a report from the New York Academy of Medicine on marijuana use. With the study supported by the Commonwealth Fund, the Friedsam Foundation, and the New York Foundation, an expert panel of researchers considered “The Marihuana Problem in the City of New York” (as their report was ultimately titled) from the viewpoint of sociology, psychology, medicine, and pharmacology. Their work continued for six years. Anslinger was furious and denounced the report, and, as painstaking and factual as it was, it had little effect on marijuana decriminalization. Eventually, the Supreme Court found the Marihuana Tax Act of 1937 unconstitutional on grounds of self-incrimination, in a suit raised by Timothy Leary in 1969. The next year, Congress passed the Controlled Substances Act, which placed marijuana in Schedule I, the most highly controlled category, used for drugs that have no currently accepted medical use and are considered liable for abuse even under medical supervision. 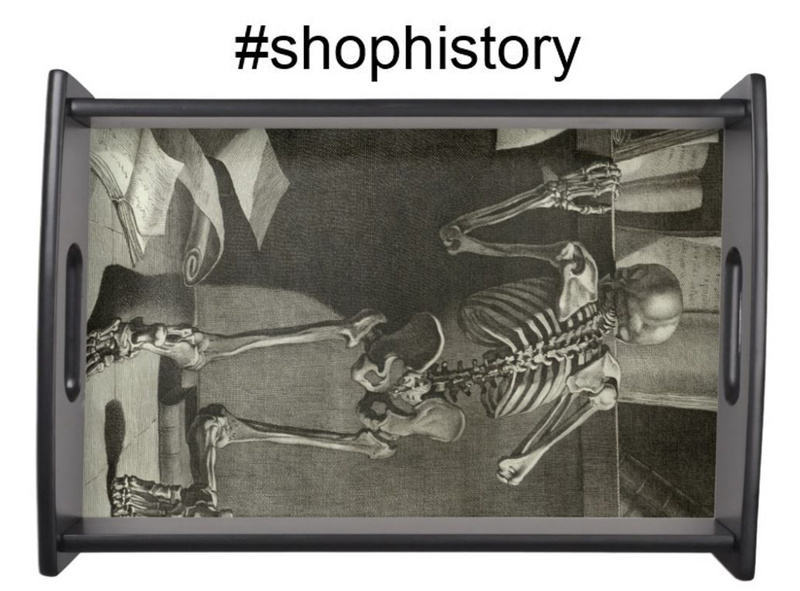 It remains there today. On May 1 and 2, the New York Academy of Medicine, partnering with the Drug Policy Alliance, is mounting a day-and-a-half-long conference, “Marijuana & Drug Policy Reform in New York—the LaGuardia Report at 70.” Historians and drug policy experts will gather to consider the report and its effects, look at the “drug wars” over the last century, and survey the policy landscape of the near future. Please join us; the conference is free. View the full schedule and participant information. Register here.